Showing results by narrator "Andy Parsons"
Panic over, he's back! Everyone's favourite grumbling funny man and star of BBC2's 'Mock the Week', Andy Parsons is back on the road with his brand new show, Gruntled. Britain's foremost topical comedian returns to the stage for more logically rigorous, cutting edge comedy. Expect the usual clever politically inspired bemusements and disappointedly crushed enthusiasm. This is a sharp, thought provoking show by one of our most astute comedians in the UK. 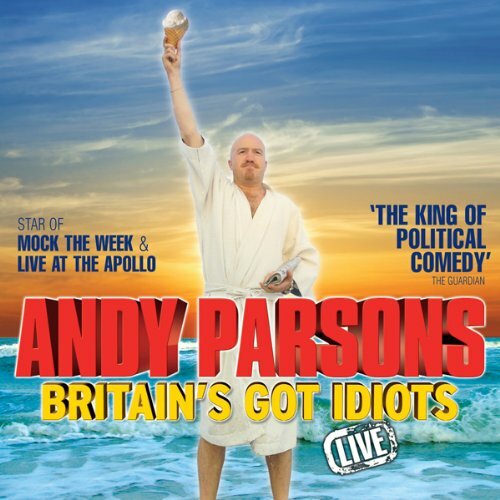 Britain's Got Idiots is the stunning debut show from Andy Parsons, the star of Mock the Week and Live at the Apollo. Recorded at The Lyric Theatre, Shaftesbury Avenue, at the zenith of his sell-out UK tour, Britain's Got Idiots proves once and for all that Andy Parsons is not only the topical comedian of his generation but also a damn fine dancer.